"Why does it cost so much ? ! ? " Life isn't simple and neither is your car. It takes sophisticated equipment to work on complicated machinery. Top Quality requires talented, trained and certified technicians. 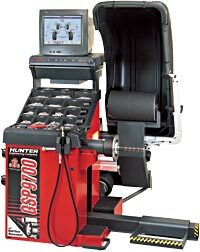 The GSP9700 measures radial and lateral tire forces and provides instructions for solving ride and handling problems that other balancers and wheel aligners cannot fix. Improper bead seating of tire to rim. 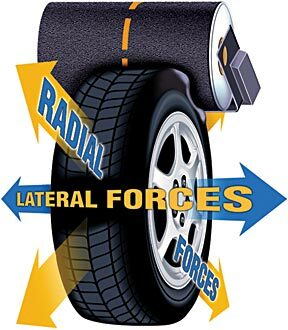 The optional StraightTrak® LFM** feature measures lateral tire force then applies that information to a set of tires, providing multiple placement choices to eliminate or minimize pull problems. Dramatically Improves Ride Quality & Customer Satisfaction.